Becoming a professional rider and trainer was never part of the long-term plan for Nicki Wilcox. But it wasn’t not part of the plan, either. 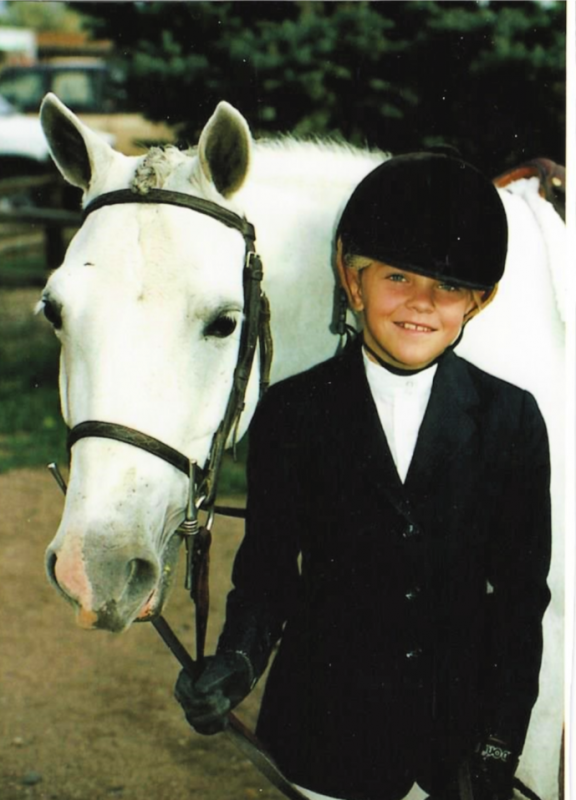 Nicki is the namesake and founder of Nicki Wilcox Show Jumping, a full-service facility based out of Parker, Colorado. Horse-crazy for as long as she can remember, she dabbled with the idea of a career in the horse business, yet pursued a journalism degree and had lofty dreams of impacting the world through reporting. 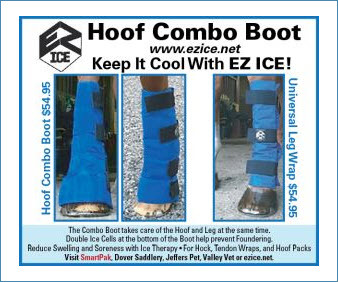 Having seen the tough slog to make it in horses, she wanted to have options. In the end, the horses won out. For Nicki, they have their own compelling tale to tell. Little could stop young Nicki from being near a horse. Horses were hard to come by in Arvada, Colorado, the Denver suburb where she grew up, so she’d satisfy her pony cravings when visiting family friends in South Dakota. She got her start in a Western saddle, but switched to English when she got the itch to jump. 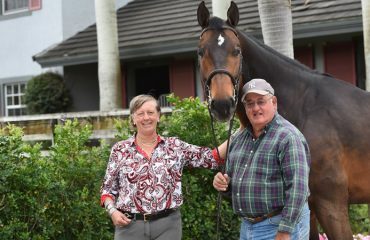 Soon, Nicki was developing under the watchful eye of the late Dion Dana, progressing from ponies to the junior jumpers, before riding for Dion as a part-time professional while in college. Horses were the perfect complement to Nicki’s shy personality. Not allowing her bashful personality to limit her dreams, Nicki enrolled in the University of Colorado Boulder, graduating with a degree in journalism and mass communication. 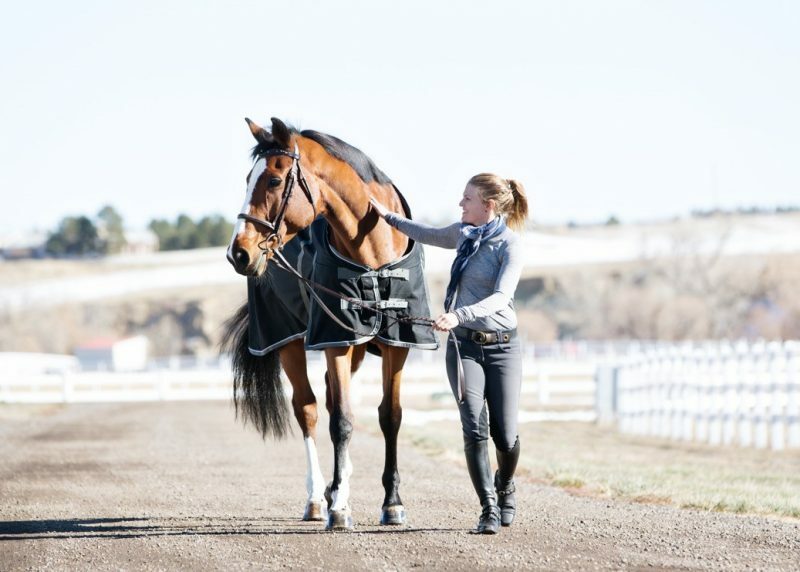 She continued to ride as a part-time professional during college but a full-time career as a rider and trainer wasn’t necessarily the end game. And then, at a horse show in Tucson, Arizona, Nicki met Frank Selinger. At the time, Nicki had a talented young Andalusian/Thoroughbred she was developing, and asked Frank for guidance. At the end of the circuit, Frank offered her a working student position at his St. George’s Stables in Calgary, Alberta, Canada. Nicki, who has loved horses since she was young, thought she wanted a career as a writer — but horses eventually won out. Heading to Calgary, Nicki had a single goal: to be able to call herself a bona fide grand prix rider. While her background included one or two soft grand prix, she considered herself a total rookie in the grand prix ring. Nicki wanted to learn what it took to ride at an international level, as well as develop horses to consistently perform at that level. Nicki couldn’t get enough. 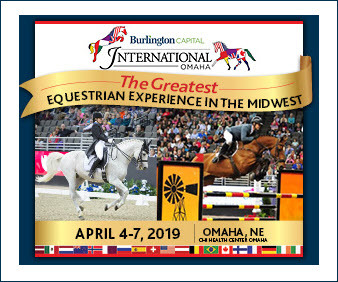 In addition to developing grand prix prospects with Frank, she developed her Andalusian/Thoroughbred into a regular competitor in the 1.40m division at Spruce Meadows, a few miles from Frank’s farm. 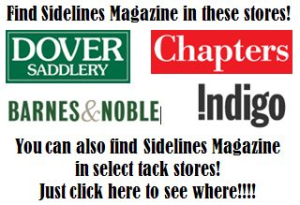 During the Spruce Meadows Summer Series, she would flex her writing skills in the venue’s media center, where she reported on the international competitions for Phelps Media. In 2010, tragedy spurred Nicki to consider a return to Colorado. 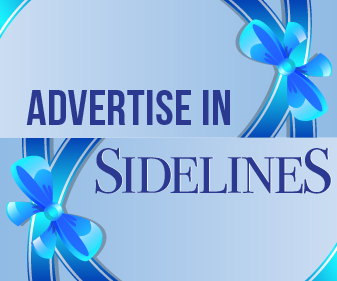 Her sister, Shantel, lost her long-time partner, Alexander Gilmer, in a plane collision. Nicki made the permanent move back to her home state by early 2012. Following the loss, Nicki said her family banded together for support. The family mantra became: Do what you love and do it now. 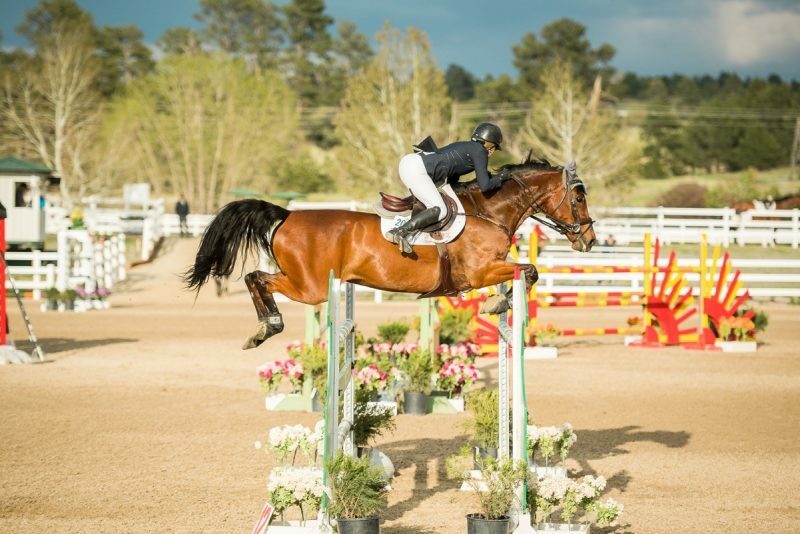 Nicki got to work building Nicki Wilcox Show Jumping when she arrived in Colorado and, in 2016, with her parents as investors, purchased property in Parker, Colorado. Nicki and her parents reside on the property. Her sister lives in the nearby community of Evergreen. Even Frank makes the trek to Colorado once or twice a year to put on a clinic for Nicki and her team. Nicki’s excitement about coaching surprised her. She admits that her first vision for Nicki Wilcox Show Jumping was more based on developing, showing and selling horses. While she knew she loved the riding part of the gig, she was astounded by how much joy she got out of teaching junior and amateur riders. As with most adventures in entrepreneurship, building Nicki Wilcox Show Jumping wasn’t without its struggles. Nicki had to re-establish herself on the Colorado horse show scene. She found, after six years in Canada, that she had to prove herself a more experienced and developed rider. Nicki urges aspiring professionals to learn the ins and outs of each aspect of the business, from cleaning stalls to breaking horses, to competing, to accounting. 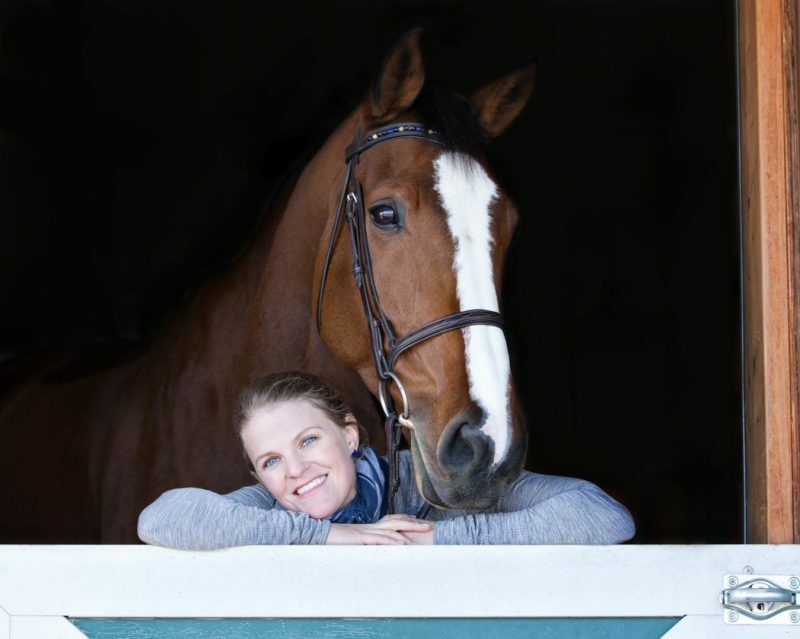 She encourages budding equestrians to take their time and put in the hard work. Don’t get ahead of yourself — it’s a tactic Nicki employs with business, and with developing horses. She’s not one to set big dreams to conquer; instead, she focuses on listening to her horses and working towards small goals on the way to larger success. She doesn’t want a timeline to get in the way of establishing a relationship with the horse. Expect to see Nicki on the grand prix field with her king, J.E.S. Quito, and her queen, Danique du Lys, in 2019. 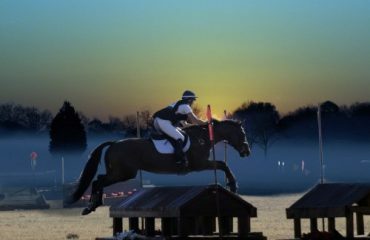 The year promises to be a busy one for Nicki Wilcox Show Jumping with a number of talented prospects heading into work and a few hardworking juniors and amateurs who are starting to climb the ranks. But Nicki’s never been afraid of a busy schedule. She works hard, but she plays hard, too. An avid outdoorsman, Nicki tries to dedicate her wintery Mondays to the ski hill. Even in Calgary, she’d take a week off to explore the Canadian Rocky Mountains in the wintertime. And she enjoys camping, although she admits it’s difficult for her to get away with her busy show schedule. 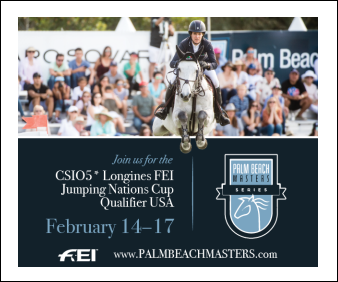 For more information, visit Nicki Wilcox Show Jumping on Facebook and Instagram.